Looking For The Best Squeaky Toys For Chewers? 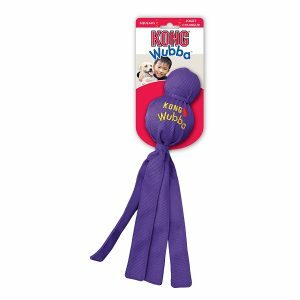 Here’s a look at our favorites, including our top pick – KONG Wubba Dog Toy. 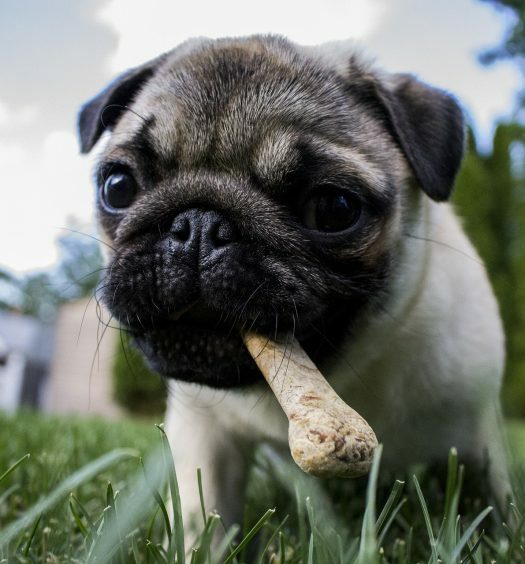 Every dog owner knows that chew toys aren’t a luxury—they’re a necessity if you want to keep your dog from chewing on everything in the house. Beyond that primary selfish reason, I should add that toys can stimulate your pet’s brain, promote health and wellbeing, stave off boredom, and ease their anxiety when you’re away from the home. It’s best to have a variety of toys to offer to your dog, and switch between them as the situation warrants. For example, lots of pet-owners have rubber balls and Frisbees for playing fetch, a sturdy rope for playing tug-of-war, rubber bones and balls for chewing, and of course a good squeaky toy for comfort. While sturdy rubber toys are generally best for chewers, that’s not an option if your dog likes squeaky toys. These are almost always made of cloth, synthetic fabric, and stuffing, and a good chewer can rip through a sub-par squeaky toy in under an hour. Size – this one is fairly obvious: if you give a big dog a small toy, they’ll probably tear it to shreds by the end of the day. Small toys are for small dogs, and larger toys are for large breeds (although I have to admit it’s kind of fun to see a small dog go to town on a large toy). 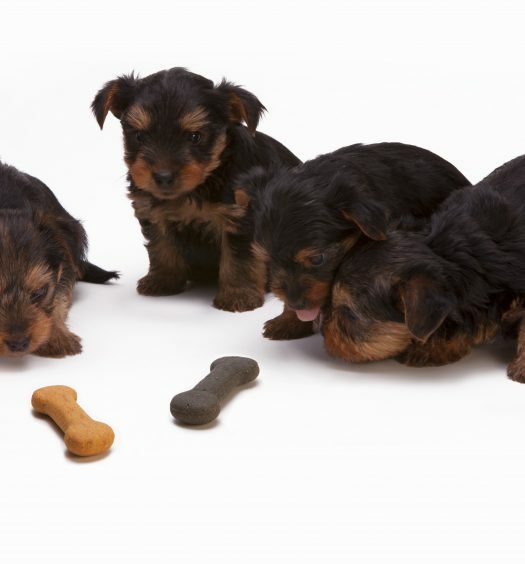 Weight – when you’re selecting a toy, consider how your dog will use it. If they like to carry it from room to room for comfort, light play, and chewing, then you’ll want something more lightweight. If your dog’s primary intention is to destroy the toy as fast as possible, you’ll definitely want a heavy toy with thick material, and you’ll want to make sure the toy doesn’t have any small pieces or accessories that could be accidentally ingested. Layers – durable squeaky toys usually have two or more layers of fabric. 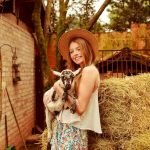 Material – synthetic material tends to last longer than natural fibers like cotton, but don’t let that dissuade you from using natural fiber toys. I’ve seen plenty of cotton toys that have thick stitching and multiple layers for durability. Stuffing – if your dog is a chewer, it’s usually best to go with toys that have little to no stuffing inside (that just leads to a mess every time). If the toy does have stuffing, make sure it’s stuffed with natural fibers (probably cotton). That way, if your dog accidentally ingests some of the fabric, natural fibers won’t wreak havoc in their digestive system. Kong toys are known for their durability, so anytime you see the Kong label it’s a safe bet. 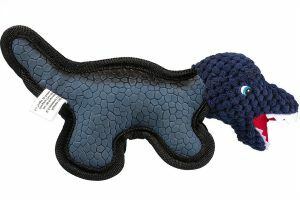 The Wubba dog toy is made of reinforced nylon fabric that can withstand heavy chewing by large dogs. There’s a tennis ball and a squeaker inside, and the “tails” of fabric make it easy for you to pick up and throw when you’re playing fetch. This toy is hands-down the best value on the list. Each product utilizes the manufacturer’s patented Chew Shield Technology construction and has reinforced seams to keep it intact. If your dog is obsessed with squeaky toys, they’ll love how the toy comes with multiple squeakers inside for extra noise. 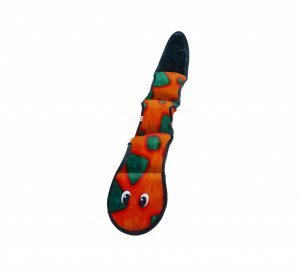 The invincible snake toy has 3 squeakers, the extra-large toy has 6, and the jumbo-size has 12. It’s also a stuffing-less toy, so if your dog manages to bite through the fabric, you won’t have to worry about stuffing spreading throughout the house. 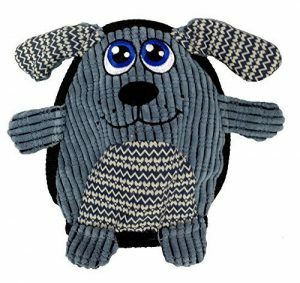 The Pet Lou Bite Me Squeaker Dog Toy gets the award for cutest toy on the list (I can’t tell if it’s the eyes or the patterned fabric underbelly, but something about this one just makes me smile). It’s built to withstand the most aggressive chewers, with two layers of fabric and a reinforced zig-zag stitch for extra toughness. It’s stuffing-free, and has a puncture-proof squeaker inside that won’t give out no matter how much your dog chews on it. As an added bonus, this toy also floats in water, so it’s a fun option for play by the pool. You can see the durability of the LIZPET Dog Plush Toy at first glance. It’s soft and cuddly, and is made with a double-layered cotton-latex blend to withstand chewing. The toy’s head is specifically crafted with knots to help clean your dog’s teeth and strengthen their gums, and it has minimal stuffing. The Jalousie 5 pack is a fantastic option for chewers that are persistent but not too aggressive. 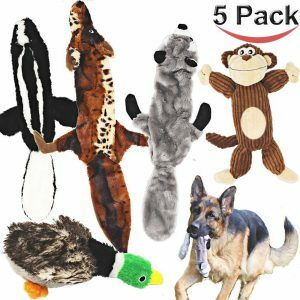 The pack comes with 5 toys: 3 are stuffing-free with 3 squeakers each, and two are plush toys meant for comfort. The company recommends against using these for aggressive chewers, so I’d recommend monitoring your pet the first time they get one of these just to make sure it fits their play style. Keep in mind that no toy is indestructible. There are plenty of squeaker toys out there that claim to be invincible, indestructible, and chew-proof, but no dog toy can last forever. It’s smart to keep an eye on your dog’s toys and cycle them out when they look like they’re about to give out. If you purchase one of the squeaker toys on this list and your dog loves it, I’d recommend purchasing a few more to keep in stock for when the toy eventually gives out.